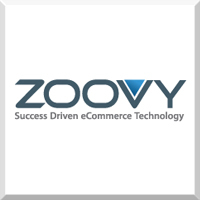 Founded in 2000, Zoovy was among the forerunners of marketplace integrated ecommerce solutions. Since then Zoovy has expanded to include integration with the worlds premier online marketplaces, including eBay, Amazon and Shopping.com. Zoovy has also grown to allow merchants to manage more aspects of their online business, including reporting, inventory, customer relations tools, and advanced cross selling features. Amazon, eBay, Yahoo!, Google Product Search, Pricegrabber, Overstock.com, Buy.com, Doba (buyer and seller), NexTag, MySimon, Commission Junction, MyAffiliate, RazorMouth. The Zoovy-1 hosted e-commerce platform provides all of the functionality required to host and successfully run a rapidly growing online business. Zoovy's complete online product and web site management interface combines the top names and services in the industry to provide the most seemless all-in-one e-commerce business system available. Packages start from $29/mo. for startups, and around $300/mo. for enterprise accounts with multiple storefronts and accounts.